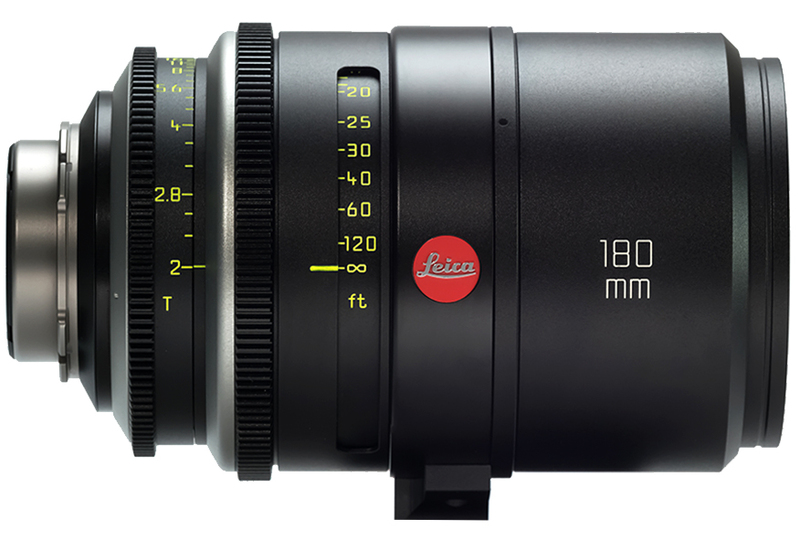 The unique Leica Cine 180mm T2.0 telephoto lens has the classic Leica look and offers many exciting modern features. The sharp yet creamy look is highly desired for rendering naturally gorgeous skin tones and fine details, making it an excellent companion to any set of Leica Summilux-C, Summicron-C, or Thalia lenses. Click Here to watch the demo videos. With a customized 16-blade iris that is circular at all stops, the lens creates beautiful bokeh that adds cinematic depth to your shots. 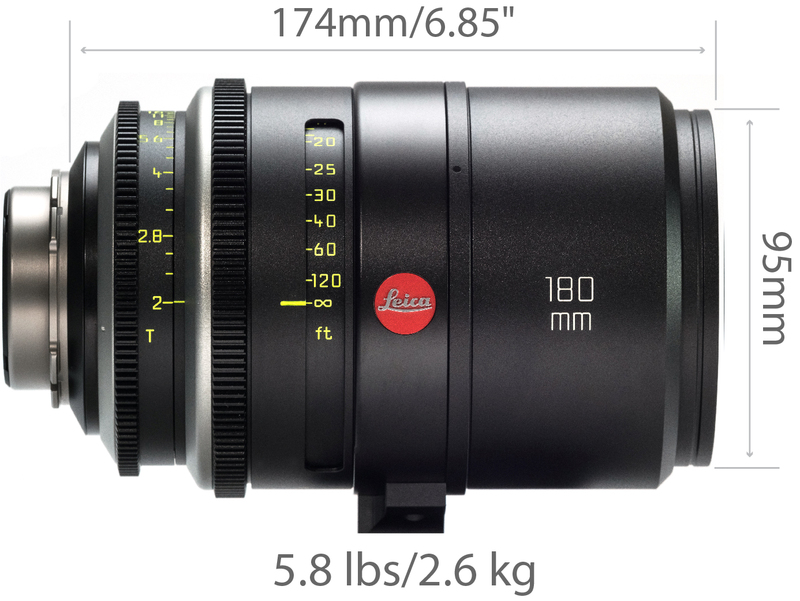 Thanks to its large image circle and long focal length, the lens is capable of covering all current sensor sizes including the Arri Alexa 65. 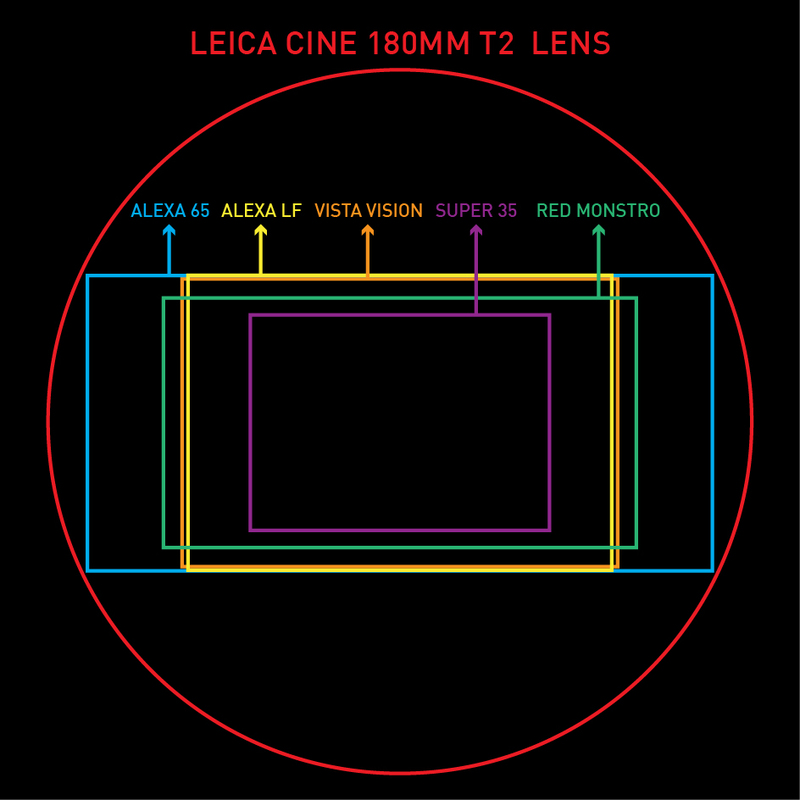 This makes it a perfect partner for the Leica Summilux-C, Summicron-C, or Thalia lenses. 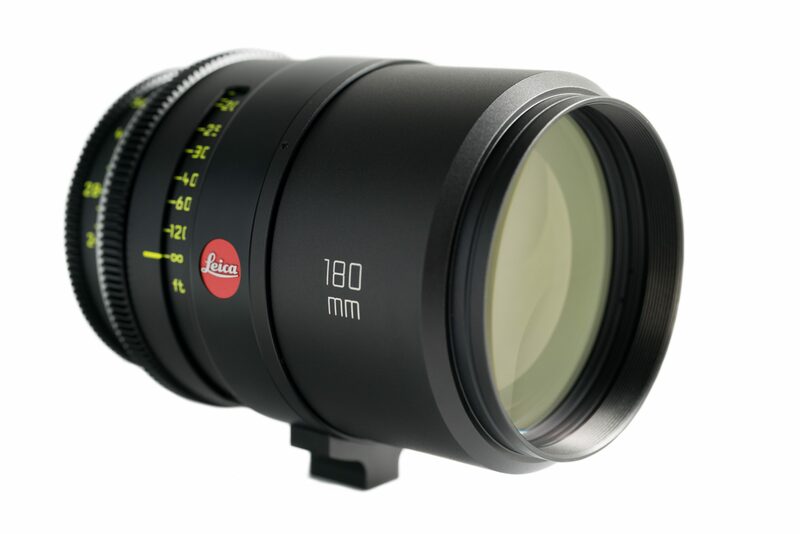 The 95mm front diameter matches the Leica Cine family, leading to smooth and quick lens changes on set. 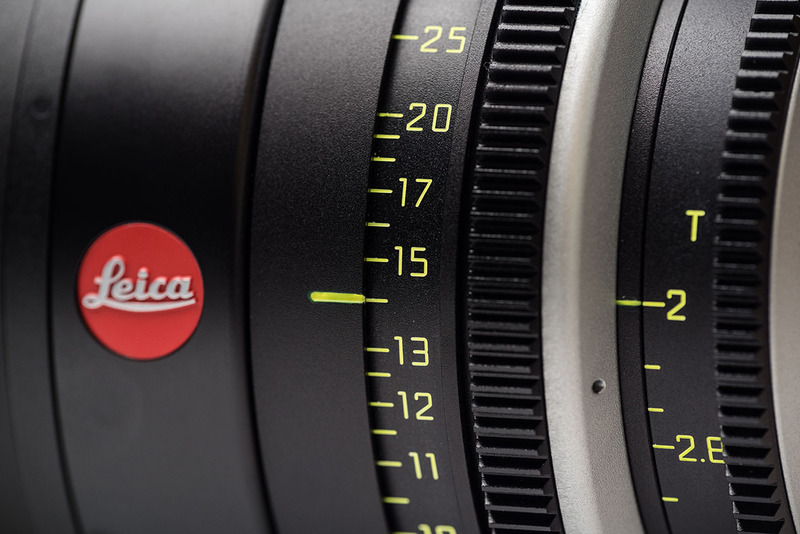 Full compatibility with the stackable Leica Macrolux diopters allows cinematographers to capture powerful, larger than life macro shots with striking detail. Also included is a Leica standard 92mm screw-in filter thread. 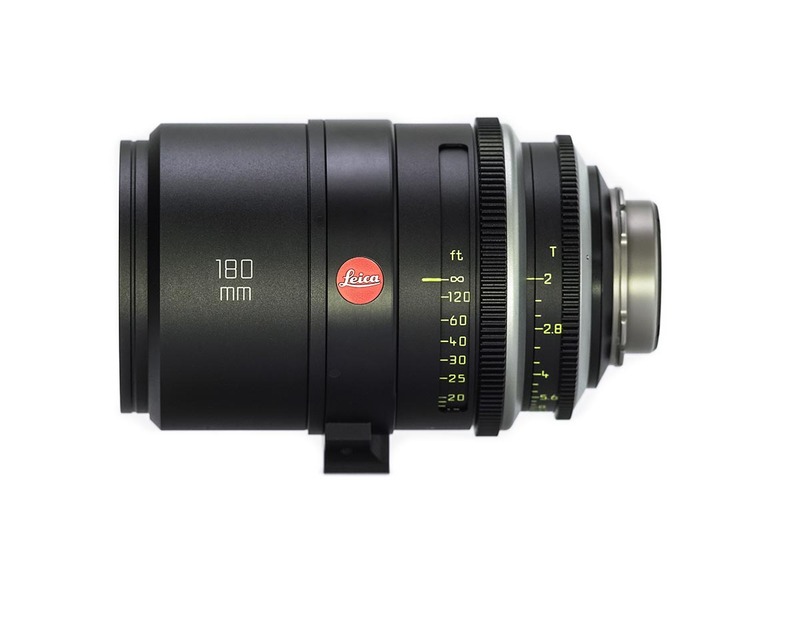 The inclusion of a single aspheric optical element makes it visually compatible with both the multi-aspheric Leica Summilux-C and the spherical Leica Summicron-C primes. 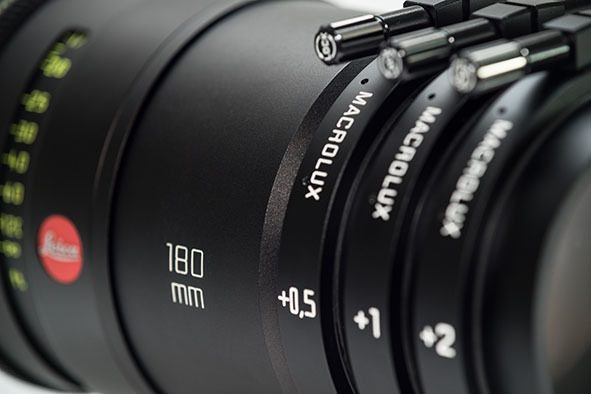 With nine lenses in six groups and apochromatic correction, outstanding resolution and contrast can be achieved all the way to the edge of the frame. The cam-driven focus offers 270 degrees of precise rotation with a multitude of footage marks on the scale from infinity to a close focus of 4’8″ for the most demanding focus pullers. Weighing in at only 5.8 lbs (2.8kg) and just under 7 inches (174mm) long, this 180mm lens is a rare compact and lightweight telephoto solution.